Pretty tiered pearls in colors of cream and gold are a lovely and modern touch to a fashion forward wardrobe. 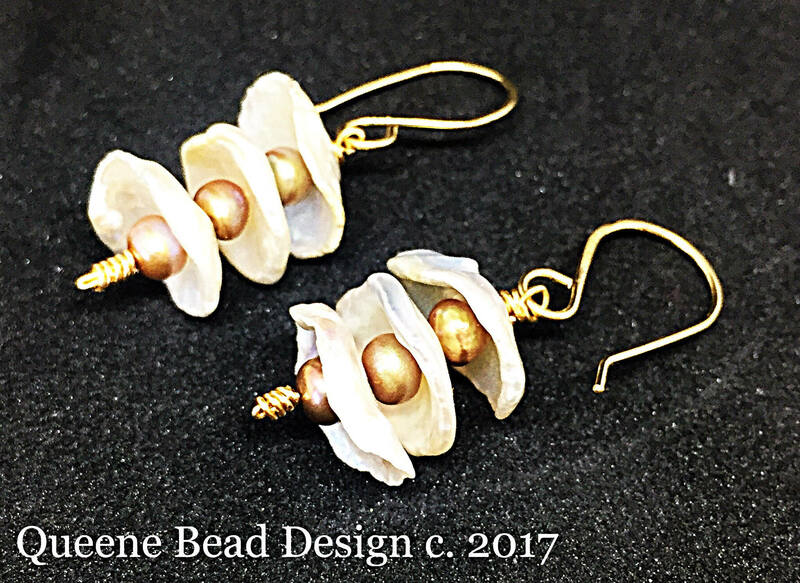 I used natural Keishi freshwater pearls and gold pearls, with gold filled wire to create these earrings. To me, I saw Chinese lanterns. 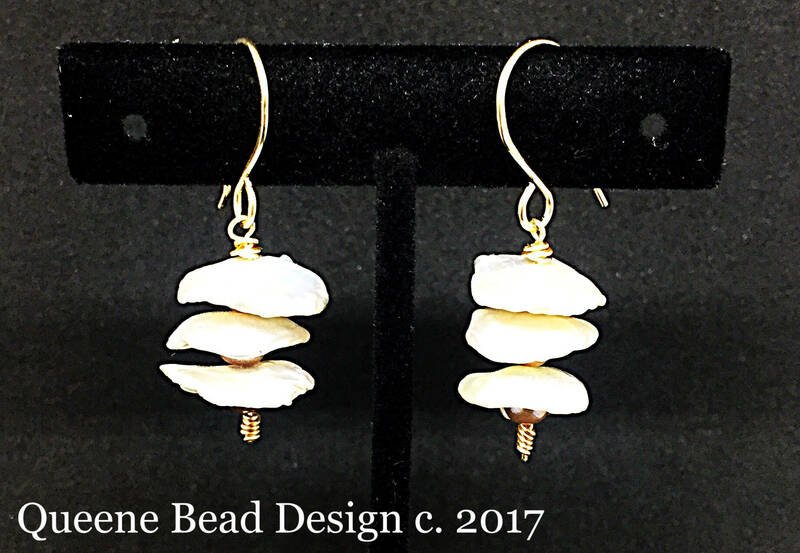 Whatever these lovely earrings inspire in you, wear them with style and grace. These hang about 2" from top of ear wire.